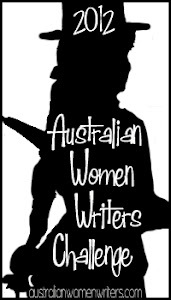 Turns out my sign-up post for the Australian Women Writers Challenge 2017 was not actually posted, despite the WordPress app on my phone telling me it was. In any event, although I read 10 books within my challenge parameters by about March or April, I did not post any reviews at the time. So here is the revised sign-up post PLUS six reviews in one post. I opted for the Franklin again: read 10 books, review 6. The other main parameter for my challenge this year was that it would all be non-fiction. I read a few great non-fiction books by Australian women early in the year, thanks to the various e-library services I’m signed up to having more interesting non-fiction than fiction, so that inspired me. It was also a challenge element because I normally read more fiction than non-fiction. 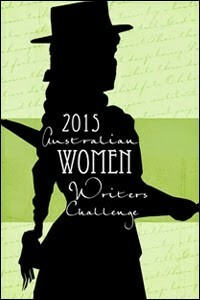 I was hoping to tag all books by Australian women which I read this year on my Goodreads bookshelf, but I only managed to remember with my challenge books and a few others. So, here are the books I read as part of the challenge (plus three), and how they meet the challenge elements above. Busted Out Laughing: Dot Collard’s Story, Dot Collard: by, and primarily featuring, an Aboriginal woman; possibly a classic? This House of Grief, Helen Garner: does this count as a classic? Wicked But Virtuous, Mirka Mora: by, and primarily featuring, a woman from a non-English speaking background; also, possibly a classic? I want to start with a joint review of Busted Out Laughing, The Mind of a Thief, Of Ashes and Rivers and Tall Man. These four books have in common that they are about Aboriginal people or communities in some ways. Two of them (Busted and Ashes) are by Aboriginal women, about their lives – one written directly by the author, the other “as told to” an amanuensis, Beryl Hacker. The other two are by white women, telling the story of a place or community. Let’s start with Busted Out Laughing. Dot Collard is a famous actor you’ve probably never heard of. Busted only touches on that part of her life towards the end of the book, though, as Collard did not become an actor until she was in her sixties. Busted tells the story of her life, and she lived a lot of it before hitting the stage. Here is where I admit that I didn’t take enough notes of some of these books before returning them to the library, and Busted is in that category. So my review must, of necessity, be based on my recollection, which means I cannot provide a lot of detail. What I can tell you, however, is what struck me. First and foremost: Busted describes the impact of government control on every day lives of Collard and her community. That control was intrusive, demeaning and unjust. The atrocities committed, however, did not mean that there were no joys or love in life. This brings me to the second thing that struck me: Collard retained her humour and love throughout. There is a good reason for the title of the book – there is a lot of laughter in it. It is, overall, a joyful story, and a family story. Thirdly: a great strength of Busted as a story is that it is in Collard’s own voice. I cannot emphasise the importance of this, particularly because part of the wrong in what was done to the Aboriginal and Torres Straight Islander peoples in Australia was the removal of their voices. I highly recommend Busted. It is a fantastic book, and reading it gives us the chance to hear a voice from a group which has too often been silenced in this country. Turning, then, to Ashes. As a child, Munkara had some outward or apparent privileges as a child that Collard did not – she was not raised in material poverty and had access to education. But Munkara is a member of the Stolen Generations. The material wealth of the family in which Munkara grew up could not in any way make up for the tragedy that comes with removal – detaching a child from a family in which she is loved and which she loves; exposing her to the loss of culture and a sense of place as a consequence; and exposing her to abuse. These are all great wrongs. Ashes describes these wrongs very clearly. Once again, the book is not without its joys as Munkara re-establishes a relationship with her family, but those joys are bittersweet. Ashes should be prescribed reading for all Australians. It is a story we, as a country, need to hear repeated again and again, so that nobody can forget how terribly our First Peoples have been treated. Tall Man was not written by a member of the community in question, but Hooper seems to have done thorough research, becoming as close to the community as she could be, and telling the story through their voices as much as possible. To me as another outsider, Hooper’s telling seems empathetic and careful. Further, she tells the story not only of what happened in 2004, but also of the injustices in the creation of the community in the first place – the people of Palm Island were all brought there from elsewhere in Queensland. This is an important part of the story of Palm Island and, again, a necessary tale to tell. Miller grew up near Wellington herself and, at the time of her research and writing of the book, her mother still lived there. She tells how she decided to write the book in order to tell the story of the area. She was inspired in part because (some of) the Wiradjuri people made the first post-Mabo native title claim in 1994, and it was finally resolved (actually as a land claim under the NSW land rights legislation) around the time Miller started her research for the book. In fact, there were two groups of people who disagree as to who the traditional owners of certain parts of land in the Wellington valley are. Miller decided to speak to people on both sides of the divide to get a better understanding of the competing claims, as well as trying to find out what she could about Wiradjuri culture and traditions. I did not enjoy this book nearly as much as the other three, and I do not think it is anywhere near as important. Miller makes no secret that her search is as much as anything to explore her own personal connection to the land and area where she grew up. This is, in itself, no bad thing. However, in the execution, Miller comes across as self-centred, more interested in navel gazing than telling the story she says she wants to tell. She spends a lot of time explaining that she is not equating her own experiences and connection to the land to that of the Wiradjuri people she spoke to, while seeming to do exactly that. I think I can understand what Miller was trying to do, but I do not think she walked that narrow line particularly clearly or well. Rather, what Mind of a Thief does is demonstrate why what is important in telling the story of Aboriginal and Torres Strait Islander people (whether as individuals or communities) is to amplify the voices of those people themselves. Busted, Ashes and even Tall Man all do that. Mind of a Thief does not. I read The Hate Race very early in the year, and there have been few books I have enjoyed more in 2017. Beneba Clarke’s writing is fantastic, and that is a large part of it. Another is that she avoids what many memoirs do, and which tends to turn me off: too much navel-gazing. A third part is that I grew up in an area of Sydney not too far from where Beneba Clarke lived, and we are pretty much the same age. This made the setting of Hate Race very recognisable to me, both geographically and culturally. The Hate Race is a perfect mixture of the internal life of the child and teenager she was with family life, school life and community life. This provides a very sound basis for understanding the racism Beneba Clarke experienced, both external and internalised, and how she responded. I’m not sure there is really much more I can say that would not either be too detailed, or trite, except to say that, once again, it is so important that a story like this is presented in Beneba Clarke’s own voice. Turning, then, to something very different – at least, on its face. Baird’s Victoria has been a huge hit, and I am sure others have written detailed and learned reviews. Any reader of this post will likely know that Victoria tells the whole story of the Queen’s life – indeed, from prior to her conception, until after her death. Readers will also be aware of the importance of Victoria, as a leader and symbol during a critical time for the British Empire. Baird has done a fantastic job of unpicking some of the myths (and apparent inconsistencies) about Victoria and showing us the woman, and the realities of her life. What is key here again is that Baird has told this story using the voices of those involved (including Victoria herself) to a significant extent. She has plainly pored through thousands of primary source documents – letters, diaries, etc – in order to do so. Indeed, Baird has described the difficulties she had in accessing those documents, and explained that many are lost to history as a result of efforts to “protect” the reputation or image of Victoria after her death. Despite these difficulties, the source material is far more extensive for someone like Queen Victoria than for many others (such as Aboriginal and Torres Strait Islander people), which means Baird was able to do what will never be done for many others. In other words, although Victoria: The Queen was a very different book from the others I have reviewed above, it serves to highlight the importance of the stories told in (most of) those books, and the essential requirement that those stories be told in the voices of the people involved, to the greatest extent possible. I am not going to write reviews for any of the other books, but I wanted to point readers to three more in particular. A Long Time Coming was amazing. In Australia, we do not talk enough about ageing, which is basically why Joosten wrote the book. It’s fantastic. I recommend it to all. Reckoning is another great story. Szubanski is such a well-loved figure (and even more so after the events of this year) that I don’t think I need to say any more. This House of Grief is the story of a man who drove his three sons into a dam, and the subsequent trials. Garner is a national treasure, and the thoughtfulness and care she brings to her writing is evident here. Once again, an exploration of a subject which maybe does not get enough airtime in Australia. 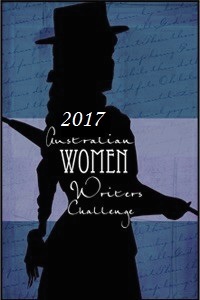 And that’s the end of my Australian Women Writers Challenge 2017!